The popular Russian mid-size SUV has seen another modernization, with the company boasting that the 2019 model is the most comfortable, powerful, safe and reliable to date. The past week has been a busy one for the Russian automotive world. SUV-maker UAZ rolled out two new commercial light truck designs, including a hybrid. Meanwhile, automotive giant AvtoVaz provided details on several new creations, including the natural gas-powered Lada Vesta CNG sedan, which went on sale this week. 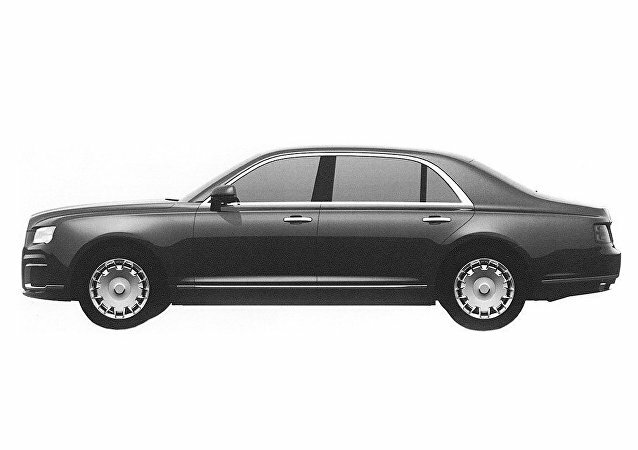 President Vladimir Putin has familiarized himself with the Russian-made limousine, part of the 'Cortege' project, Minister of Industry and Trade Denis Manturov has confirmed. The brand new series of official vehicles is expected to be released in time for the inauguration following next year's presidential elections. 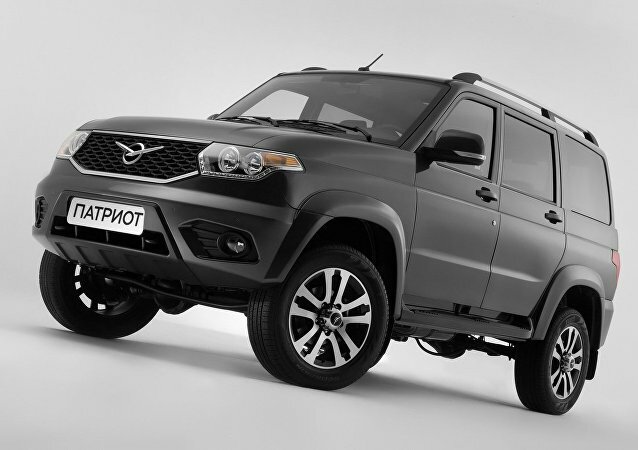 Russia’s UAZ automaker is launching the sale of its off-road vehicles in Vietnam. At present, the UAZ vehicles delivered to Vietnam are for defense needs only, however it strives to enter the country’s commercial market, the company’s Export Director, Andrei Dorofeyev, told Sputnik. The famous Russian automobile manufacturer UAZ is poised to begin production of its iconic off-road vehicles in the Islamic Republic of Iran. 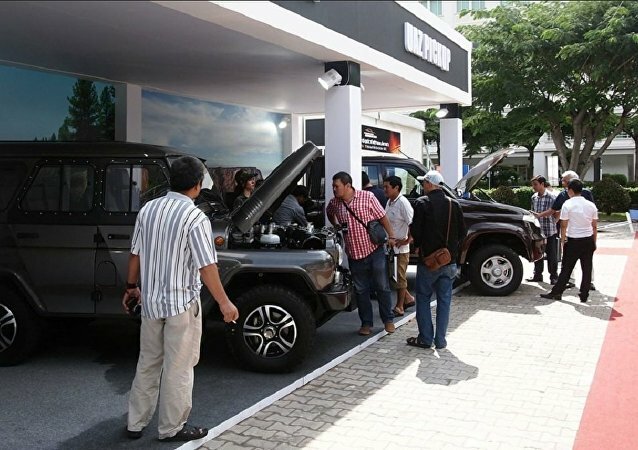 The Vietnam International Motor Show 2016 (VIMS 2016) held in Ho Chi Minh City in the end of October became the largest motor show in Vietnam’s history, according to its organizers. Russia's leading manufacturer of passenger cars and commercial wheel-drive vehicles, Ulyanovsk Automobile Plant (UAZ) was one of its participants. People outside Russia probably have some ingrained misconceptions about Russian-made offroad-capable vehicles, imagining rickety 40-year-old jeeps that pay no mind to driver or passenger comfort. 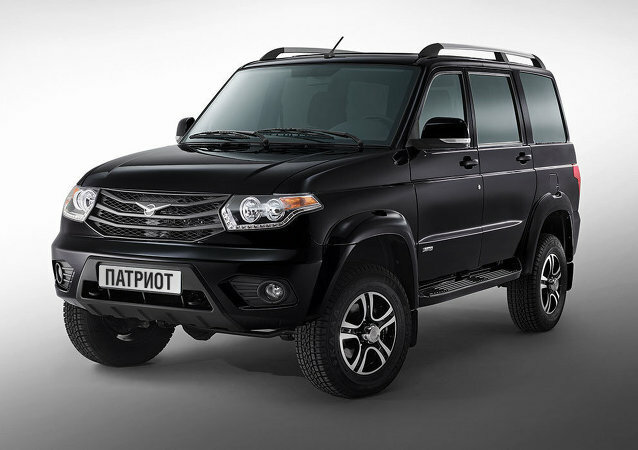 Make no mistake about it – those exist too, but the UAZ Patriot, a mid-size SUV produced by Ulyanovsk Automobile Plant, is definitely not one of them. The Russian anti-terrorist operation in Syria is about to get more 'patriotic'. On Friday, the Defense Ministry confirmed that it has deployed a group of UAZ Patriot pickups equipped with Kord 12.7 mm heavy machine guns and AGS-17 grenade launchers to the war-torn country. The vehicles are likely to be assigned to protect humanitarian convoys. 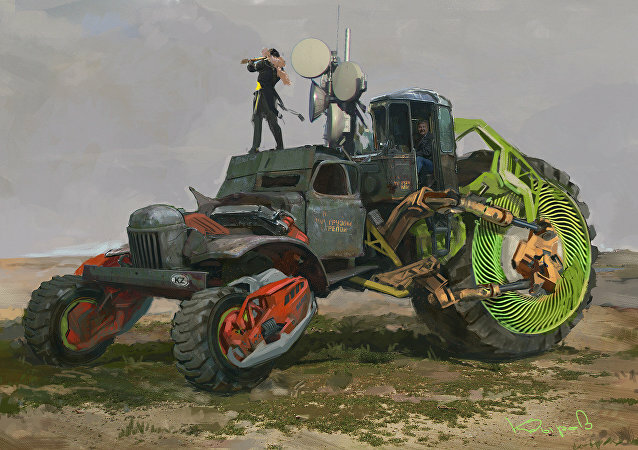 Kazakh artist Daniyar Kdyrov gives a new life to old soviet cars. Using his imagination he turns cars into apocalyptic moster-trucks. Sure, Russian cars might not be the best in the world; nonetheless, our country has a long history of building automobiles. Sputnik remembers the most iconic cars that existed in the Soviet Union, which built its very first car in 1924. Two new Russian passenger vehicles, the Lada Vesta Cross concept CUV and the new UAZ Patriot SUV, proved to be the stars of the Moscow Off-Road Show, held this week in the Russian capital.